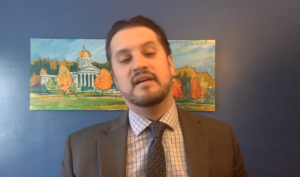 The Vermont House last week voted 81-60 to double the tax on heating fuels from 2 cents to 4 cents per gallon, and to impose a gross receipts tax of 1.0 percent on the retail sale of natural gas and 1.5 percent on the retail sale of coal. The money raised (an estimated $4.5 million) would be used to increase funding for Vermont’s low income weatherization program. This action been described by opponents as a “back door Carbon Tax” on fossil fuels. Supporters of the fuel tax increase are arguing it’s technically not a Carbon Tax because it’s a tax on volume of fuel (gallons) not carbon output (tons released), and that this is increasing an existing tax, not creating a new one. But more disturbing than this semantic jujitsu used to justify (in some cases) a broken campaign promise to not support a carbon tax is the twisted logic that it’s okay to double the tax because fuel prices fluctuate and, therefore, consumers won’t notice. The scheming goes because the market price for home heating fuels fluctuate, sometimes considerably, the state should use this opportunity to take MORE money out of their constituents’ pockets. If your bill spikes by fifty cents or a buck a gallon, you won’t notice us skimming off another two cents, right? This justification was offered in committee, and on the floor of the house, most aggressively by Rep. George Till (D-Jericho), and can be seen here in this video by Rep. Mike McCarthy (D-St. Albans at around the 1:00 minute mark. Apparently McCarthy’s constituents aren’t buying it! Keep another hurricane away nor wash away top soil here or as it just did in 3 states . And of course we got the 3 whole country’s that just got flooded out by a cyclone . of a tax so you will pay more when it costs more and will fall down . Your supposed to be the conservatives the ones who want to save money . But we all see , the majority of us in this state that you shoot your self in the foot with your guns by being , (sorry there is no other word I can think of ) Stupid . Now grow up and go back to school and learn how to be a modern thinking person . Your diatribes Are not what most Vermonters believe nor want. Sorry I’m not being more parsimonious on the discibtion of your foolish ideas . Time for Thaddeus to go back to unionized school. Pre-K English would be a good place to start. By weatherizing 400 homes a year in Vermont about 1/5th of one percent of the total 240,000 homes would be upgraded. At that rate it would only take about 500 years to come to fruition. Great program, eh?